The debut feature from Bertrand Mandico tells the tale of five adolescent boys (all played by actresses) enamored by the arts, but drawn to crime and transgression. After a brutal crime committed by the group and aided by TREVOR - a deity of chaos they can't control - they're punished to board a boat with a captain hell-bent on taming their ferocious appetites. After arriving on a lush island with dangers and pleasures abound the boys start to transform in both mind and body. 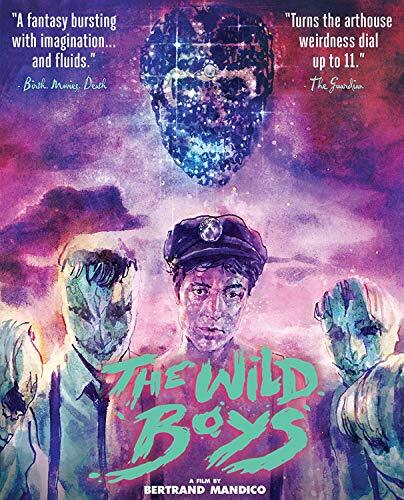 Shot in gorgeous 16mm and brimming with eroticism, genderfluidity, and humor, THE WILD BOYS will take you on journey you won't soon forget.